This project is in the idea formation stage for me. I need to get it out into the open so I can discuss it further and have people critique my beliefs / ideas. If you come across this blog post please make comments, give feedback. It will improve my view and deepen my understanding. Thank-you. I believe some emerging efforts around Open Educational Resources (OER) and related copyright and accreditation issues are born out of a traditional view of the educational world. I believe some influential groups within the OER movement is taking something that is currently open and free and wanting to pull it back into the restraints (and business model) of the institution. The institutions need to "control" the content and accreditation process or they will increasingly lose relevance. The OER movement is currently active around issues of copyright and accreditation under the guise of making a better "educational" future. What they seem to be doing is taking continued control of the "educational" future, whether consciously or not is IMHO irrelevant. The people who are going to be most impacted by these changes are the current K12 students and younger (in all corners of the world). Their voice isn't included in many of these OER and related issue discussions. I believe we need to include their voice by gaining greater understanding of their thoughts around OER, copyright issues, accreditation and how they want to learn, and how they are learning. I believe this is a critical pedagogical issue, and we need to engage those who will be most impacted. Another important piece of background information is I am parent to three children; Ana Rose (15), Lucas (5) and Kai (4). I have expressed concerns about public education, in particular higher education. I see OER as an amazing opportunity and I want it to remain free, open and focused on the needs of students, regardless of ethnicity and socio-economic position. I don't want my children restrained by an old paradigm. Teens don't care about OER, copyright issues and accreditation (particularly, when it comes to learning). Learning should be free and with the internet they have access to all they need. Given fair-use and fair-dealings all content is already open for educational use. Accreditation will be replaced by good reputation management and success doesn't require a credential. I'd like to begin a movement of smart mobs that discuss this and related topics. 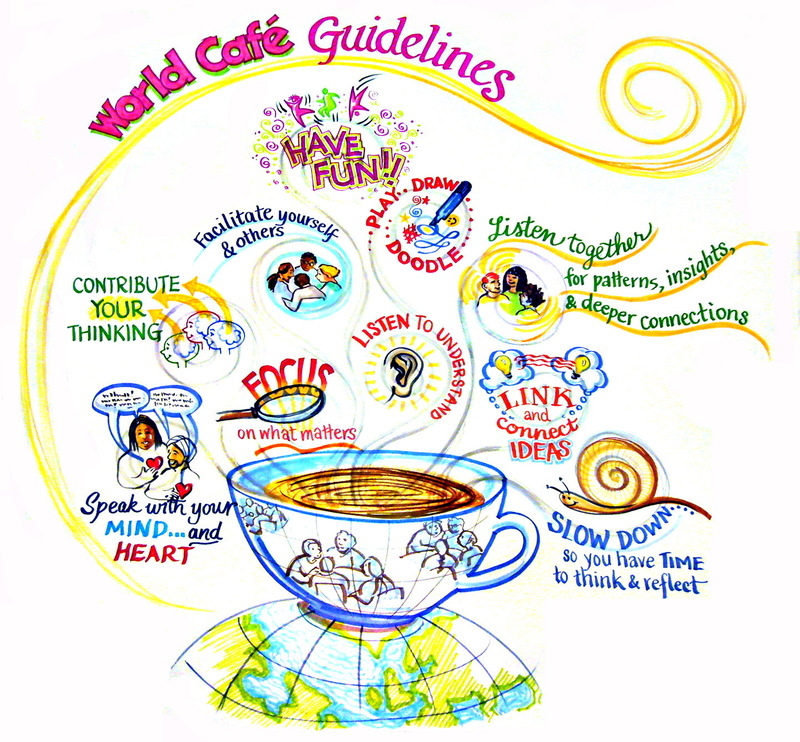 The data gathering would occur using a world cafe and / or open space approach with the use of video capture of (and by) the participants, participant blogging, wikis and related discussion tools, photographs of drawings and a good tagging strategy. I'd like to find a way where the teens are doing this data gathering on their own, asking themselves the right questions and making these results available to those making decisions / recommendations. Big question for me here is approach... is this best researched via an ethnographic or action research approach? Or is my approach described above, adequate? How could I best gather some data on this or initiate a movement where teens voices from around the world are being recognized?